The Mercury hot tub is one of the larger in the MyLine range from Wellis. The Mercury is a six seater hot tub and boasts a really large lounge seat the full length of the hot tub. If you want a spa that can take the family and also allows you to relax in peace, the Mercury is a fantastic choice. The Mercury comes with a massive 82 jets powered by two pumps that cover the whole of the hot tub and also features a waterfall for that little bit of added luxury. 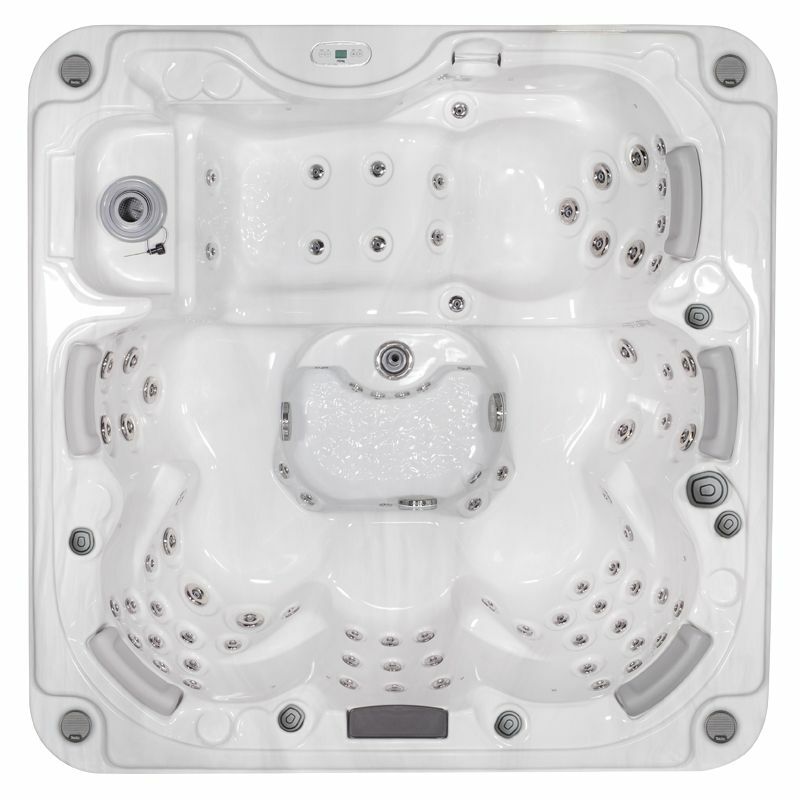 The MyLine Mercury design also incorporates five headrests so that the whole family can relax, along with 12 LED lights making this hot tub perfect for use day or night. There is also the benefit of the top of the range 4.0 built in sound system along with optional extras that include upgraded insulation for improved economy and a wifi connection through a Smartphone App. The Mercury is at the luxury end of the popular MyLine range from Wellis, one of Europe's leading manufacturers of hot tubs that combine design, functionality and exceptional build quality, backed by full warranties on all purchases.